Once you’ve understood the basics of D3, the learning curve remains steep. You want to level-up your D3 but you’re having trouble finding the right answers about your specific data and visualization questions on Stack Overflow and Blogs. This video covers D3 Transition Basics. 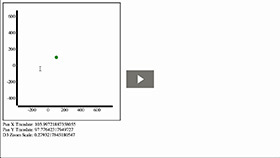 Specifically, this video covers: a) D3 Transition Motivating Example, b) D3 Transitions are Animations, c) Value Interpolation Over Time, d) Stages of Transition, e) Transitions on Selection of Elements, f) Delaying Transition Start, and g) Modifying Transition Duration. 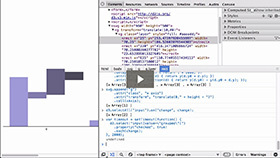 This video covers D3 SVG Transition Animations. Specifically, this video covers: a) D3 and SVG Basic Shapes Revisited, b) D3 Transition Animations, and c) Delaying and Modifying Durations of Animations. This video covers D3 and DOM Events. Specifically, this video covers: a) D3 selection.on and b) D3.event. This video covers D3 Transition Events. 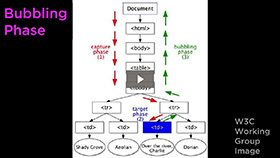 Specifically, this video covers: a) Transition End Event and b) Transition Animation Chains. This video covers D3 Event Action At A Distance. Specifically, this video covers: a) Event Action For This Element, b) Event Creates New SVG Element, and c) Event Affects Other SVG Elements. 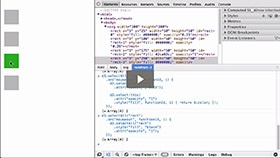 This video covers D3 and HTML Forms. 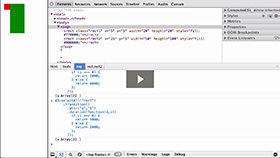 Specifically, this video covers: a) HTML Form Basics, b) Listening For HTML Form Events, and c) Form Event Triggers D3 Transitions. This video covers D3 Layout - Stack Layout. 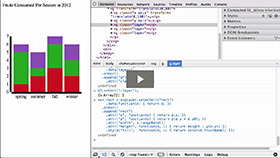 Specifically, this video covers: a) D3 Layout - Stack Layout and b) Stacked Bar Chart using Stack Layout. This video covers D3 Basic General Update Pattern. 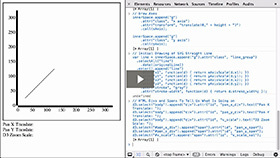 Specifically, this video covers: a) D3 Data Joins Revisited, b) Exit Selection, c) Enter Selection, d) Update Selection, and e) Basic General Update Pattern. This video covers D3 Update Pattern With Key Functions. Specifically, this video covers: a) D3 Update Pattern Revisited and b) Data Join with Key Function. This video covers Dynamic Data and Update Data Function. Specifically, this video covers: a) Dynamic Data and b) Update Data Function. This video covers D3 Zoom Behavior Part One. Specifically, this video covers: a) The Goal, b) D3 Zoom Behavior, c) D3 Zoom X and Y Scale, and d) D3 Scale and Scale Extent. 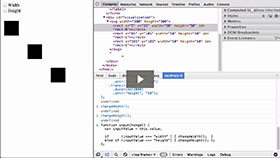 This video covers D3 Zoom for SVG Lines and SVG Paths Part One. 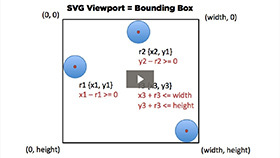 Specifically, this video covers: a) The Goal and b) D3 Zoom for an SVG Straight Line. 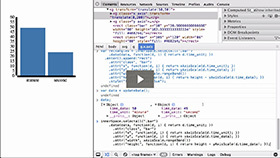 This video covers D3 Zoom for SVG Lines and SVG Paths Part Two. 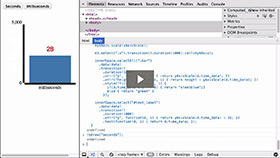 Specifically, this video covers: a) D3 Zoom for a D3 Generated SVG Path. 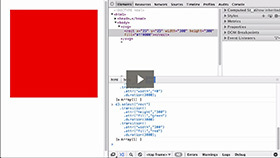 This video covers D3 Zoom for SVG Lines and SVG Paths Part Three. Specifically, this video covers: a) D3 Zoom for an SVG Path. This video covers Simplest D3 Map Possible. 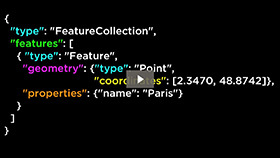 Specifically, this video covers: a) Geographic Information Systems, b) JSON Revisited, c) GeoJSON Introduction, d) GeoJSON Object, e) GeoJSON Geometry Object, f) GeoJSON Feature Object, and g) GeoJSON Feature Collection Object. This video covers Simplest D3 Map Possible. 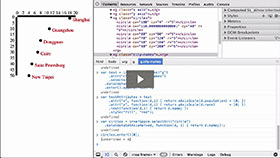 Specifically, this video covers: a) GeoJSON Revisited, b) GeoJSONLint, c) GeoJSON Point Geometry Object, d) GeoJSON MultiPoint Geometry Object, e) GeoJSON LineString Geometry Object, and f) GeoJSON MultiLineString Geometry Object. This video covers Simplest D3 Map Possible. 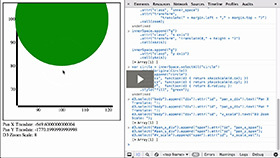 Specifically, this video covers: a) GeoJSON Polygon Geometry Object, b) GeoJSON MultiPolygon Geometry Object, c) GeoJSON Feature Object, d) GeoJSON Feature Collection Object, and e) GeoJSON Geometry Collection Object. This video covers D3 Geo Path. Specifically, this video covers: a) D3 Path Data Generators Revisited, b) D3 Geo Path, and c) Map of USA using D3 Geo Path. 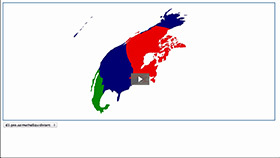 This video covers D3 Map Projections. Specifically, this video covers: a) Map Projections, b) D3 Geo Projections, and c) Changing D3 Geo Projections. This video covers Mapping Objects On D3 Map Projections. Specifically, this video covers: a) The Goal, b) D3 Pattern Revisited, c) Mapping GeoJSON Objects The D3 Way, and d) Mapping Objects On D3 Map Projections. 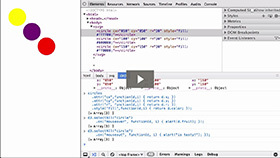 This video covers Static and Dynamic Data and Web Pages. 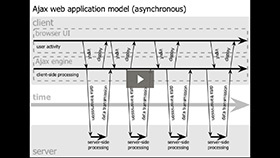 Specifically, this video covers: a) The Goal, b) HTTP Request/Response Basics, c) Thinking about Data in Static and Dynamic Web Pages, and d) Loading and Using Data in Static and Dynamic Web Pages. 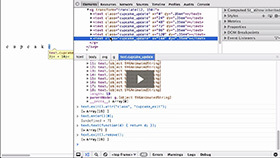 This video covers TopoJSON Part One. 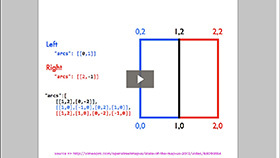 Specifically, this video covers: a) What is Topology and b) What is TopoJSON. 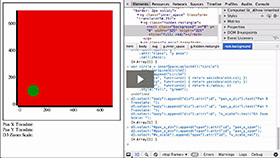 This video covers TopoJSON Part Two. 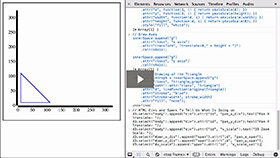 Specifically, this video covers: a) TopoJSON Installation, b) GeoJSON to TopoJSON Conversion, and c) Graphing TopoJSON.